Murrow East Station Buildings on the M and GN. Located between Wisbech and Peterborough. 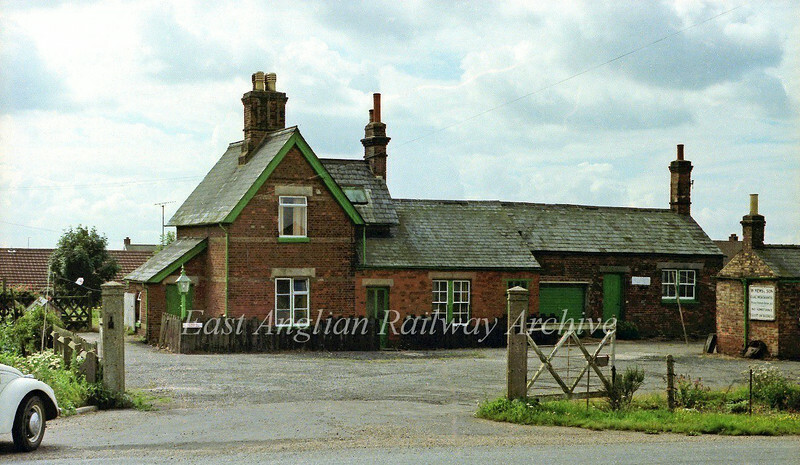 The small building to the right of the picture is the weighbridge office. The green garage door on the main building was the waiting room. At the time the building was occupied by a coal merchant.. Image dated 16th August 1978. Today all buildings have been demolished and modern houses now occupy the site.